Rep. Jerry Nadler, the top Democrat on the House Judiciary Committee, said in his own tweet that House Republicans “cannot be left alone in a room with DAG Rosenstein” and that he would demand that House Speaker Paul Ryan grant Democrats access to that meeting. He called the meeting with Rosenstein part of a Republican effort to undermine special counsel Robert Mueller’s investigation into possible coordination between Russia and the Trump campaign during the 2016 presidential election. 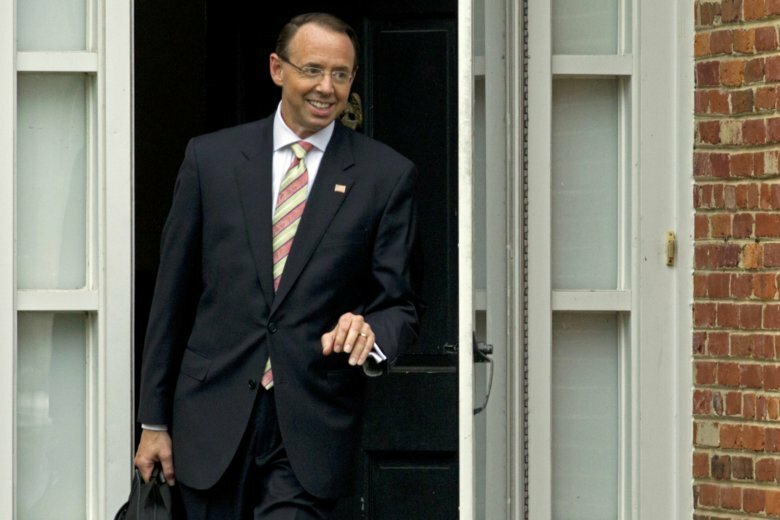 Rosenstein’s job as the Justice Department’s No. 2 official had appeared imperiled since a New York Times report last week that said he had discussed possibly recording the president to expose chaos in the White House and invoking constitutional procedures to have the Cabinet remove Trump from office. The Justice Department issued statements from Rosenstein meant to deny the report, and released a statement from someone who recalled the recording comment but said it was meant sarcastically.